Early versions of Microsoft Windows were pretty primitive by modern standards. Microsoft intended for Windows to be an interim solution. It started out as a graphical interface that ran atop MS-DOS, making DOS easier to use. The understanding that both Windows and DOS would one day be replaced by a more advanced operating system known as OS/2. OS/2 was supposed to be a collaboration between Microsoft and IBM, but as Windows grew in popularity, the two companies had a falling out. After that, Microsoft decided to create its own modern OS. This became known as Windows NT, and it’s the direct ancestor of modern-day versions of Microsoft Windows, including Windows XP, 7, 8 and 10. Windows 1.0 and 2.0 had some success in the market, if only because they were from Microsoft, but it was Windows 3.x that really swept over the industry. 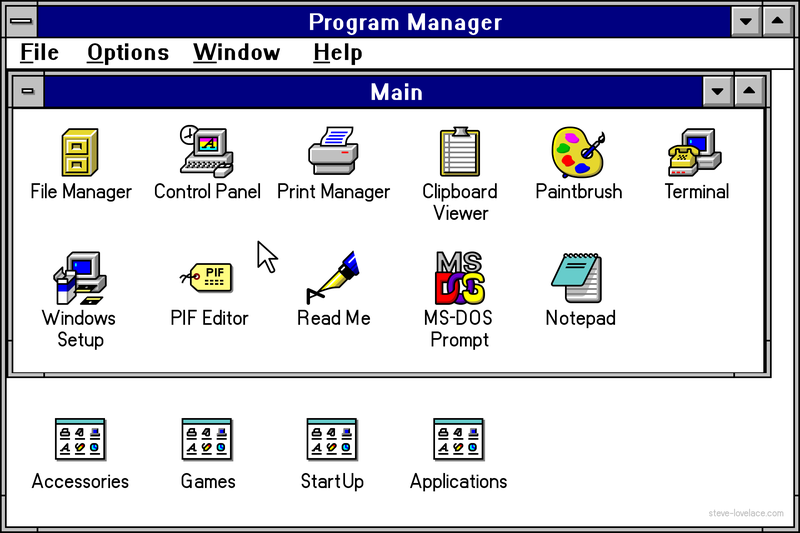 The first version in this series, Windows 3.0, replaced the clunky MS-DOS Executive with a much more user-friendly interface called Program Manager. Like the Springboard on modern iOS devices, this only allowed you to launch applications. File management was relegated to a program called File Manager, which was little better than MS-DOS executive. Windows wouldn’t get Macintosh-like graphical file management until Windows 95. Windows 3.1 looked a lot like Windows 3.0 on the surface, but it made some pretty big changes under the hood. Most notably, it dropped support for the 8088 Real Mode. This was the processor mode that MS-DOS used, and by getting rid of it, Microsoft took a big step toward making Windows an operating system of its own, instead of just a DOS shell. Microsoft also introduced 32-bit disk access, essentially bypassing the disk-reading parts of the underlying Disk Operating System. The third major version in this series, the oddly-named Windows for Workgroups 3.11, further eliminated MS-DOS from its file access, relegating the underlying operating system to little more than a boot loader. Windows 3.x was a bona fide hit, but even it was still a mess from a technical perspective. It was a modern 32-bit graphical operating system running atop an aging command line interface. This was the software equivalent of Nebuchadnezzar’s Statue. But behind the scenes, Microsoft was working on some New Technology. After their rift with IBM, they took their half of the OS/2 team and started a project known as Windows NT. This would be a fully 32-bit operating system that didn’t use MS-DOS at all. Instead of running on top of MS-DOS, it ran DOS programs in their own virtualized machines. 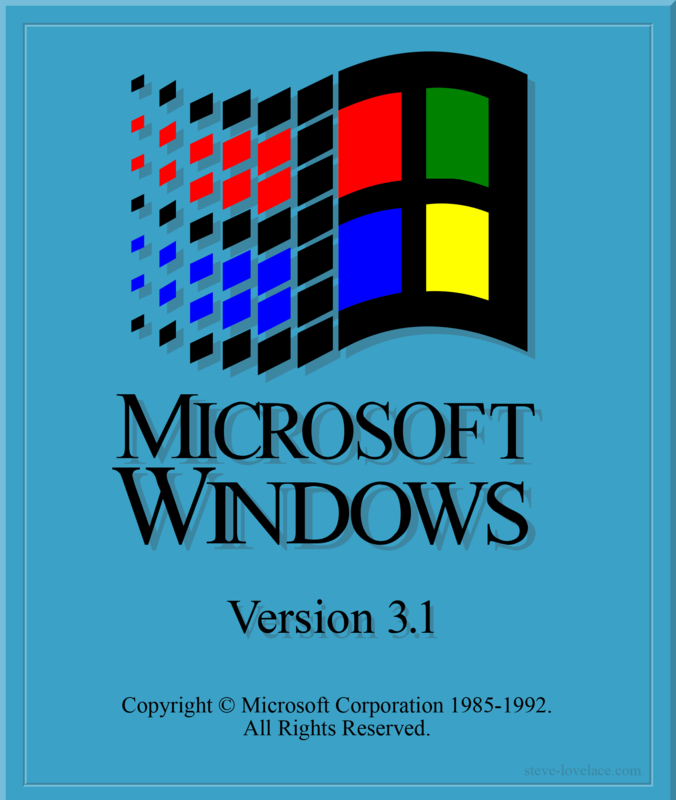 Windows NT also ran all existing Windows apps, as well as new and improved 32-bit Windows applications. This allowed it to maintain compatibility with older systems while creating standards for 21st century computers. Early Windows NT development focused on creating a new operating system kernel. They weren’t so concerned with the interface. 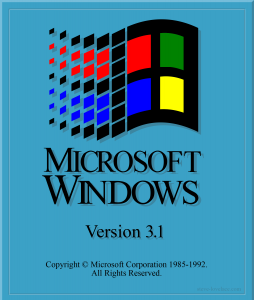 So when Windows NT finally made it to market, it looked just like Windows 3.1. This allowed Microsoft to focus on the underpinnings of the new operating system while keeping the popular look and feel of DOS-based Windows. And in fact, the first version was 3.1, instead of 1.0. This was Microsoft’s way of saying that Windows NT was an incremental improvement, rather than a radically new OS. And indeed, the very first version looked an awful lot like its less sophisticated cousin. It even had the same File Manager and eight-character filenames. Windows NT 3.5 would introduce long file names and built-in networking, but it would still be a few years before these technologies became mainstream. Windows NT 3.x was a technical breakthrough, but it wasn’t exactly a mainstream success. The system requirements were far too advanced for the average home computer. So early versions of Windows NT were limited to use on servers and commercial workstations. Meanwhile, the DOS-based Windows team was focused on a more consumer-friendly version of the operating system, the incomparable Windows 95. Next time we’ll look at this famous piece of software and how it changed computers forever.